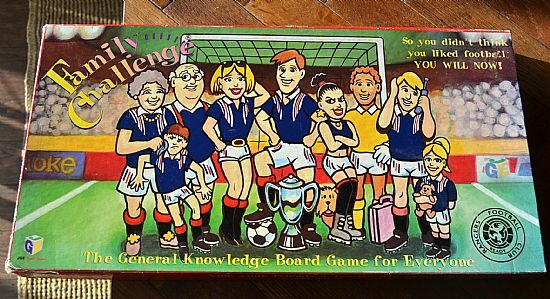 The cover of this game is so bad that I didn't bother opening the game for years after I bought it! 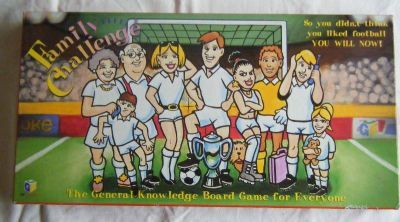 The actual game is much better than expected even if it is basically a general knoweldge quiz with extra football questions. 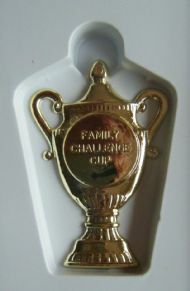 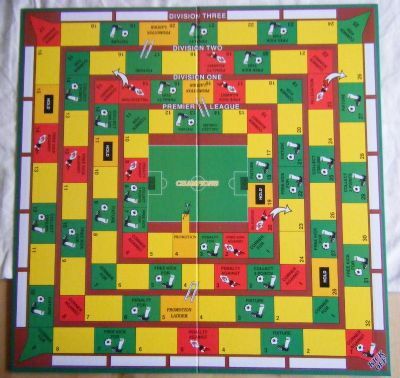 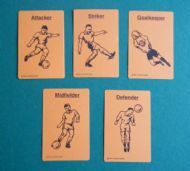 The family challenge game was adapted by individual clubs, here is the Rangers version. 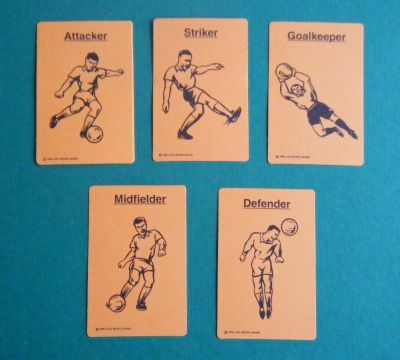 I have also seen a Coventry set. 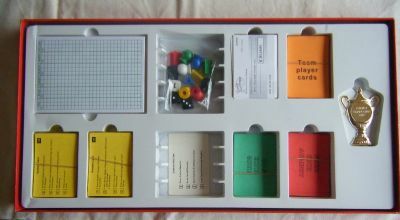 A pleasant surprise inside with plenty of compnents and a bright board. 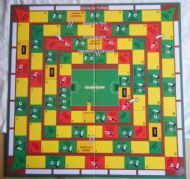 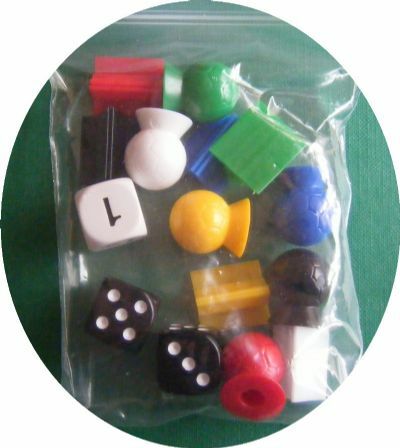 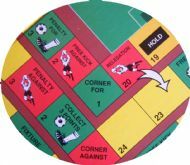 The usual playing pieces including the round ball counters found in so many football games. 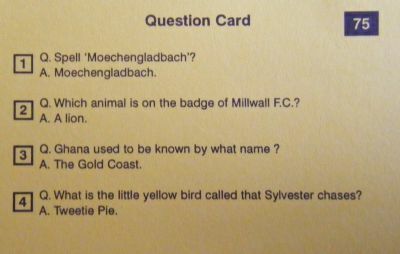 The game is basically a general knowledge quiz with extra football questions - question 1 made me laugh, wht print the name to be spelt twice? Typical board with football phrases and illustrations.